WASHINGTON — United Launch Alliance has picked Aerojet Rocketdyne’s RL10 engine to power the upper stage of its next-generation Vulcan rocket, the second such contract Aerojet has secured in as many months. In a May 11 statement, ULA said it will use a new variant of the RL10, known as the RL10C-X, on the upper stage of the Vulcan. That version incorporates improvements, like additive manufacturing of engine components, to improve its quality and affordability. The agreement continues a long relationship with Aerojet Rocketdyne, which also provides versions of the RL10 for the upper stages of ULA’s Atlas and Delta rockets. 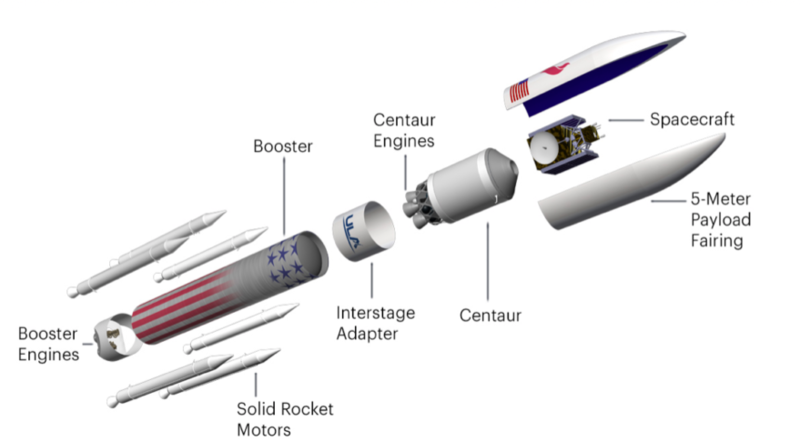 “We could not be more pleased to have selected the proven and reliable RL10 to power our Vulcan Centaur upper stage,” said Tory Bruno, president and chief executive of ULA, in a statement. The agreement covers the delivery of engines over the next decade. Terms of the agreement weren’t disclosed, but ULA described the deal as a “competitive procurement.” “Key determining factors to our selection included price and delivery schedule,” Bruno said in the statement. The agreement, Aerojet said in a separate statement, includes “a joint commitment to invest in next-generation engine development” by the companies, a reference to the RL10C-X. “The agreement also defines a path forward that will enable us to develop the next generation of RL10 engines that will incorporate additive manufacturing and other advanced technologies to make the engine more affordable while retaining its proven performance and reliability,” Eileen Drake, president and chief executive of Aerojet Rocketdyne, said. In a briefing with reporters last month at the 34th Space Symposium in Colorado Springs, Drake highlighted the use of additive manufacturing as a means to reduce the costs of the new RL10 variant. She declined to quantify that cost reduction, but said that in one case, the company was able to reduce the part content of a copper thrust chamber for the RL10 by 70 percent through the use of additive manufacturing. ULA did not disclose who Aerojet beat out for the Vulcan upper stage contract. However, the leading competitor is widely thought to be Blue Origin, which offered the BE-3U, an upper-stage version of the BE-3 engine currently used on its New Shepard suborbital vehicle. Blue Origin plans to use the BE-3U on the second stage of its New Glenn orbital launch vehicle, a recent design change. ULA also for a time worked on an engine project with XCOR Aerospace, a small company best known for its effort to develop the Lynx suborbital spaceplane. That engine, the 8H21, was considered for at one point for use on the Vulcan’s upper stage, but XCOR suffered financial problems and went out of business last November. The Vulcan agreement is the second deal Aerojet has won for the RL10 in as many months. Orbital ATK announced April 16 that it will use the RL10C on the upper stage of OmegA, the vehicle former known as Next Generation Launch that the company is seeking an Air Force contract to build. Orbital had previously considered the BE-3U before opting for the RL10. “It has an extensive flight history and provides a low-risk affordable engine,” said Mike Pinkston, deputy general manager of Orbital ATK’s launch vehicles division, in an interview last month about the selection of the RL10 for OmegA. While ULA has picked the engine that will go in Vulcan’s upper stage, it has yet to select the engine for the rocket’s first stage. That competition again pits Aerojet Rocketdyne, with its AR1 engine, against Blue Origin and its BE-4. Bruno, on multiple occasions, has said a decision will come “soon,” but has declined to offer a more specific schedule. “ULA continues its competitive procurement process for the booster engine and plans to make a down select soon,” the company said in its statement about choosing the RL10.